I've been working on a front end swap with a 2005 CBR1000RR. 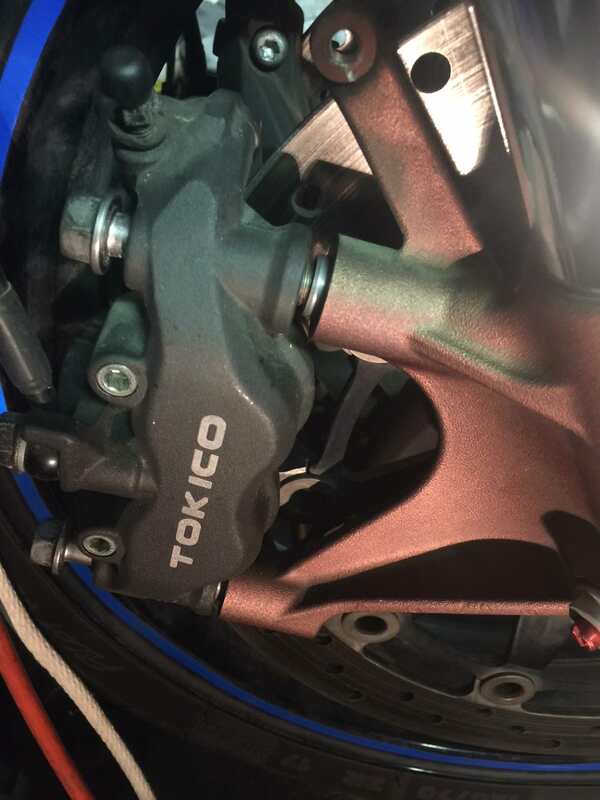 The project was put aside for a few months and in the process, I have lost the caliper spacers that go between the caliper and the fork mounts. Google searches are showing both of them and some parts diagram show both as an option. Curious if anyone would help me confirm? Here is a pic of the caliper.